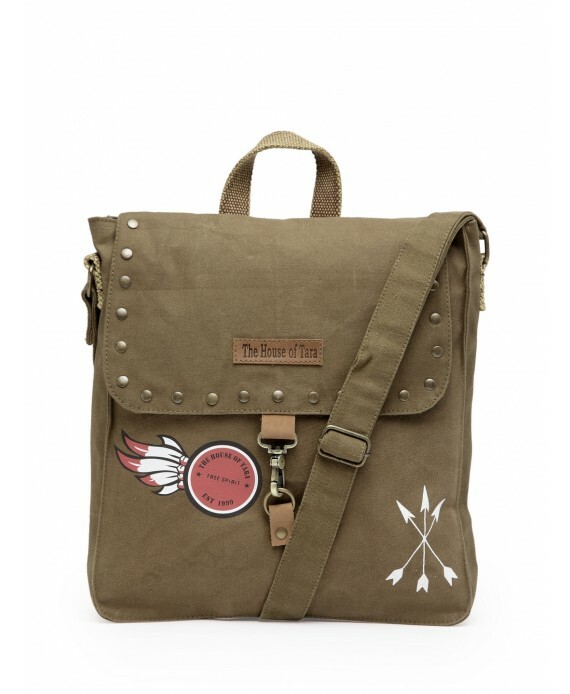 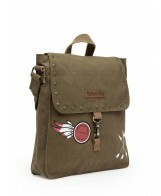 This Crossbody Messenger Bag is made in specially treated canvas fabric. 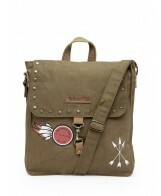 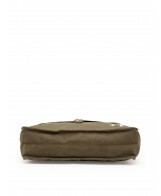 The flap is embellished with metal studs that enhance the overall appeal of the bag. 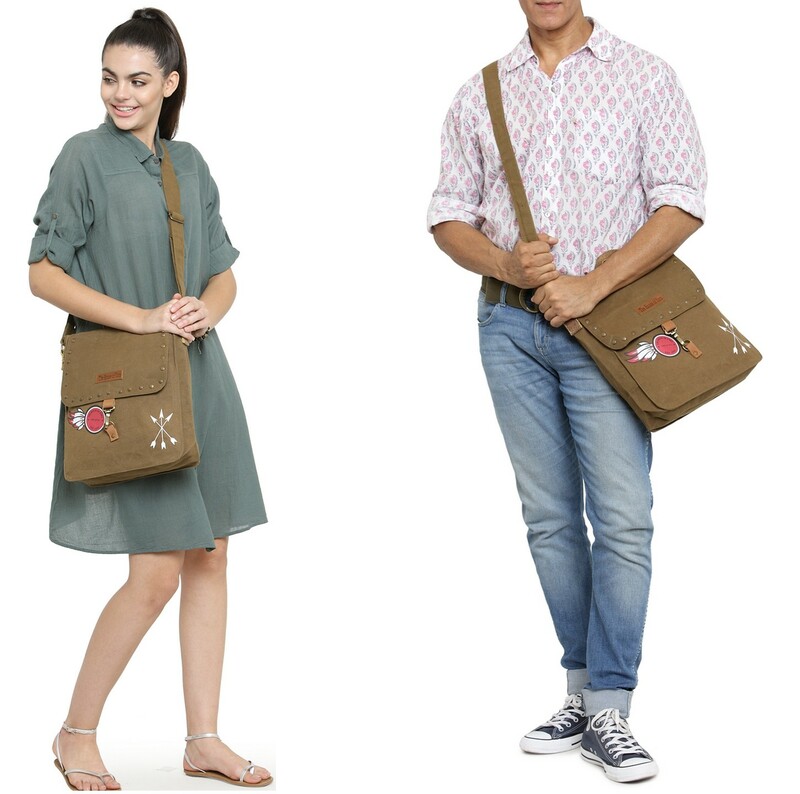 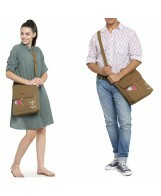 This Crossbody Messenger Bag made in specially treated canvas fabric is stylishly crafted for everyday use. 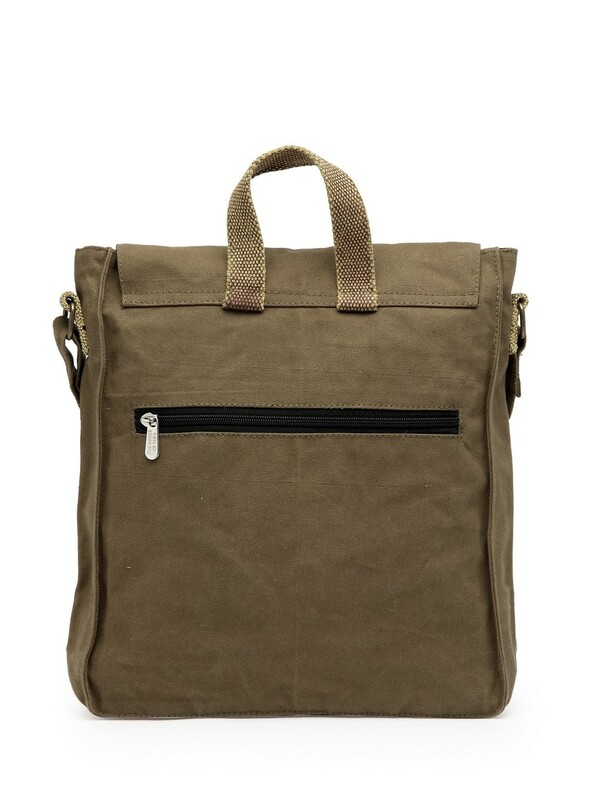 It has a zip pocket at the back to keep your quick access items. 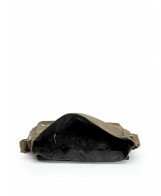 The inside lining has two slip pockets to keep your mobile etc and one more zip pocket. 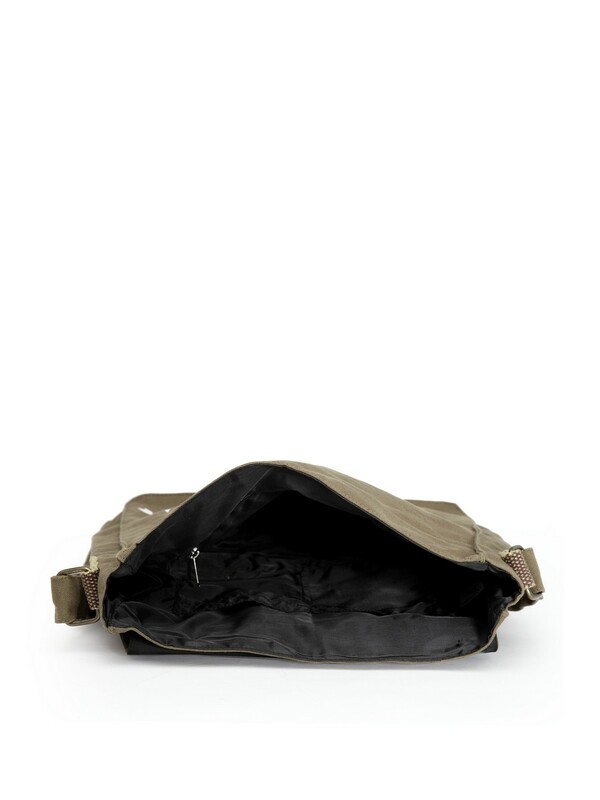 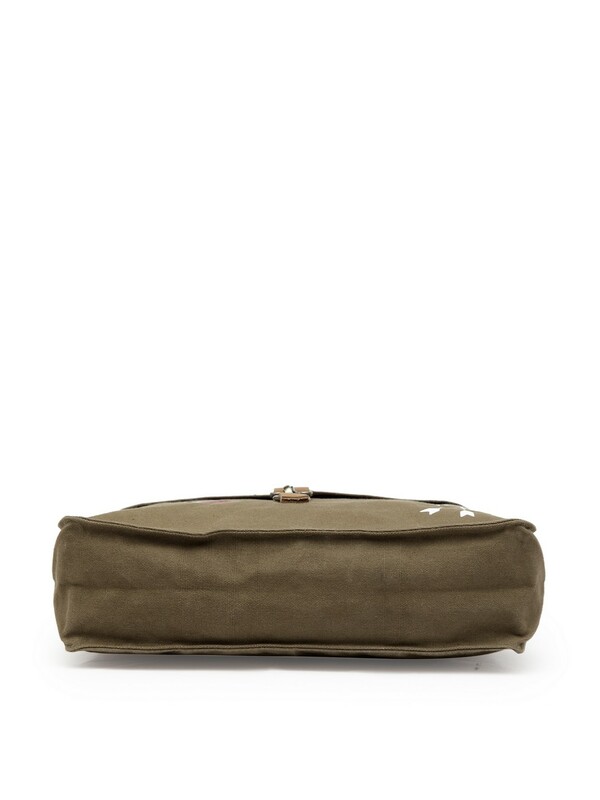 The main compartment has a flap and dog buckle closure. 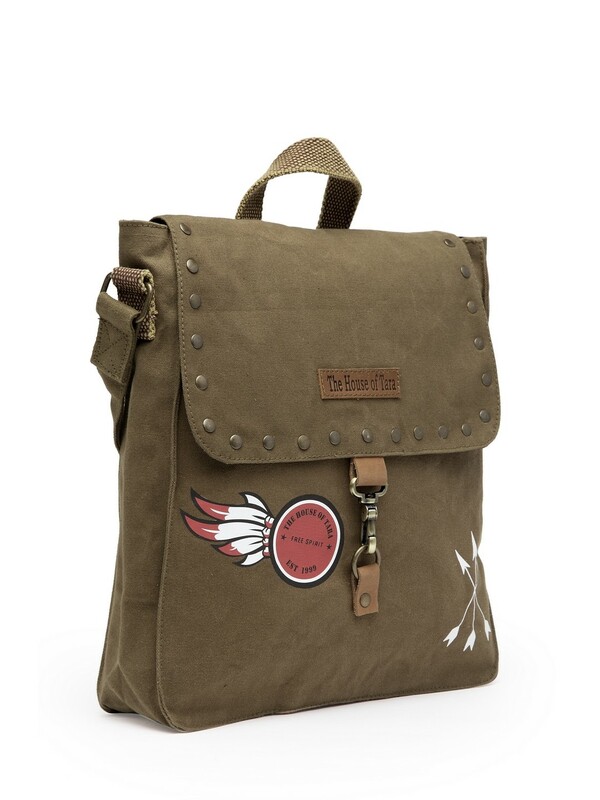 The flap is embellished with metal studs that enhance the overall appeal of the bag. 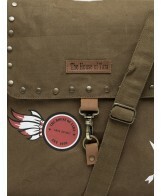 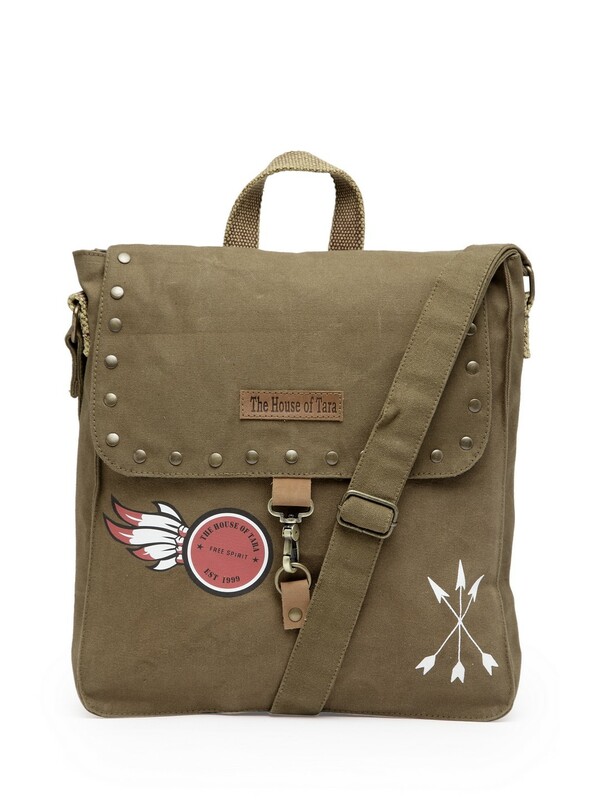 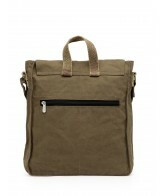 The bag has a short haul handle and an adjustable shoulder strap for ease of carrying.